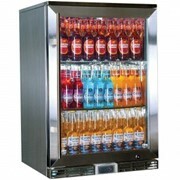 The Tropical Glass Door Mini Bar Fridge Chromed Adjustable Shelves Blue Led's Holding 72Cans. 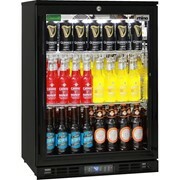 Great little units to have at home bar, cafe, milk bar or busy hotel-club business. 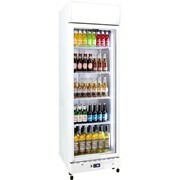 The "Popular glass door mini bar fridge with lock, 68 litre, fits approx. 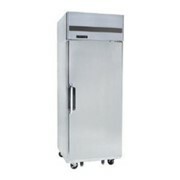 72 x cans, tropical rated and with LG compressor, great little reliable alfresco fridge." 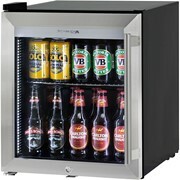 Tropical rated means great chilling capacity in tough Aussie environment. 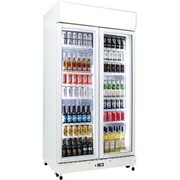 A showcase style display bar fridge highlights your product and keeps drinks chilled ready to serve. 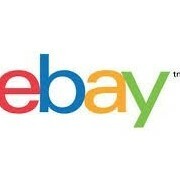 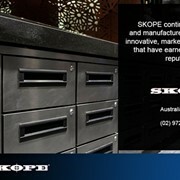 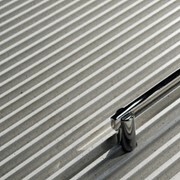 Long term manufacturer, a relaible product. 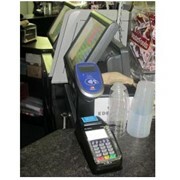 Nice blue Schmick logo and inner blue led lookk great. 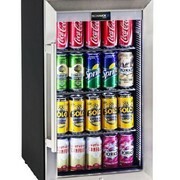 We have sold 1000's of this unit to many well known brands including Carlton Dry, Southern Comfort, Clipsal, Iveco, Coke, Subaru, Cummins, Mack and more. 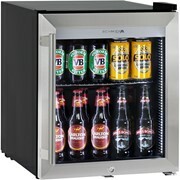 Ok for your alfresco, pool room or entertaining area.